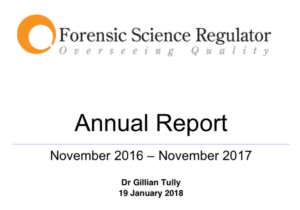 The Forensic Science Regulatory, Dr Gillian Tully, has published her annual report 2016-2017.
d) Be required to sit the observed (objective) structured clinical examination (OSCE) as an LFFLM GFM Part 2 candidate and pay the relevant fee to do so. On successful completion of the examinations and the Portfolio, they would hold the qualification of LFFLM GFM. d) Be required to sit the objective structured clinical examination (OSCE) as an LFFLM SOM(a) Part 2 candidate and pay the relevant fee to do so. On successful completion of the examination, they would hold the qualification of LFFLM SOM(a). The Board has also confirmed that they agree that the UKAFN ASET can be badged by the FFLM. The FFLM current information and regulations for the LFFLM exams, GFM and SOM, can be found here and here, respectively. The Regulations will be amended in due course to reflect these decisions. 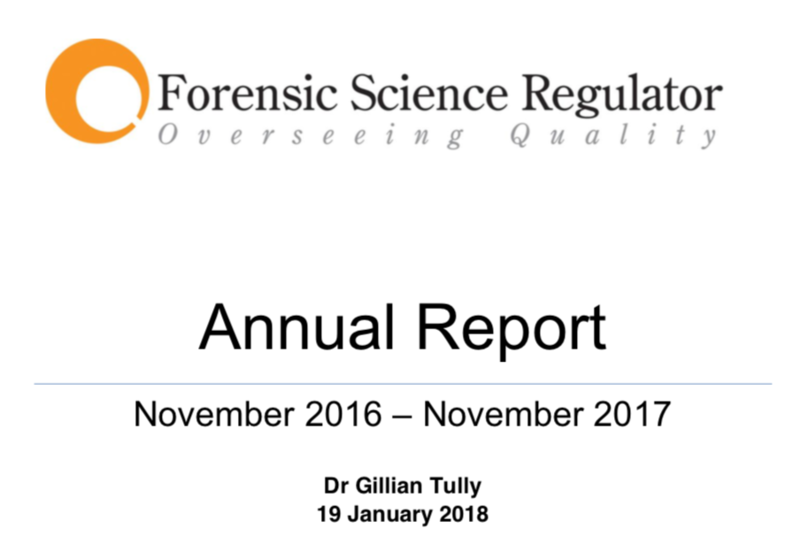 As with any examination, the LFFLM examinations will be subject to review and change and this may mean changes in both the syllabus and the examination format, in the same way that the requirements of the ASET may change. This will add to the already close working relationship between UKAFN and the FFLM. For more information on ASET please click here or email M.A.Bannerman@staffs.ac.uk . Should you have any queries about any of the FFLM exams please email their Examinations Manager, Mr Jay C Barton-Costa, at jay.barton-costa@fflm.ac.uk.